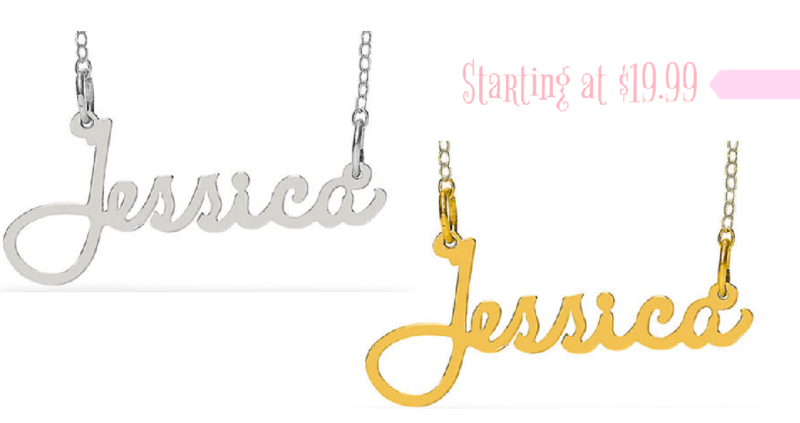 Head to Zales where you can get Personalized Script Name Necklace in Sterling Silver with Gold Plate on sale for $24.99, regularly $199 with code ZAFFGPNNSD. You can also use code ZAFFSSNNSD to get just the sterling silver option for $19.99, regularly $99. These necklaces include 1 line, up to 12 characters. Grab them for a personalized gift idea!